I've written about the digital divide in the fitness and wellness industry before. Its the wide gap that exists between traditional fitness and wellness competitors and the elite few who are embracing the sea change of technology, consumer, and wellness trends that will surely reshape fitness and wellness organization's significantly in the coming years. As 2011 approaches I am paying closer attention to guessing when this impact is going to rear its head more clearly. I recently reviewed Morgan Stanley's deck from the Web 2.0 Expo in San Francisco, "Ten Questions Internet Execs Should Ask & Answer" (its included below). You should really have a look at it. … Products must be fast + easy + fun. Have you ever seen constant improvement in products like we are seeing now? Is your business keeping pace? Do humans want everything to be like a game?" Interesting questions huh ? I truly believe the leaders of the fitness and wellness business better start asking themselves the questions that Morgan Stanley is asking the leadership of Web 2.0. Afterall its about the customer and the customer is changing the way they consumer and interact: fundamentally. What do you think ? 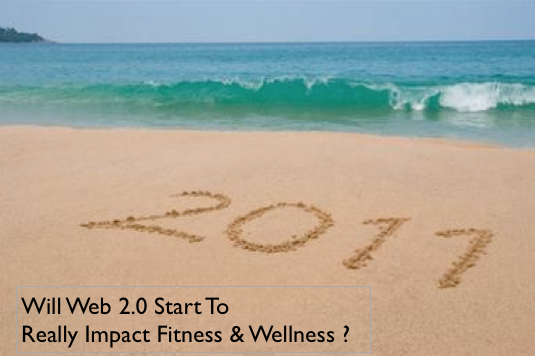 Do you think Web 2.0 is going to impact the fitness and wellness industry increasingly in 2011 ? Contact me Bryan O'Rourke, and share your thoughts.